Intermediate. 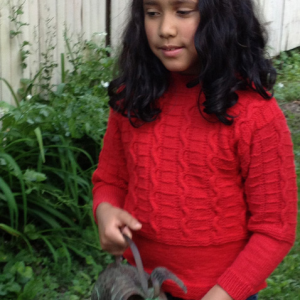 Five sizes: child’s 4: 30″ (Child’s 6-8: 34″, Child’s 10-12/ Women’s Petite: 38″, Women’s Small: 42″, Women’s Medium: 46″). 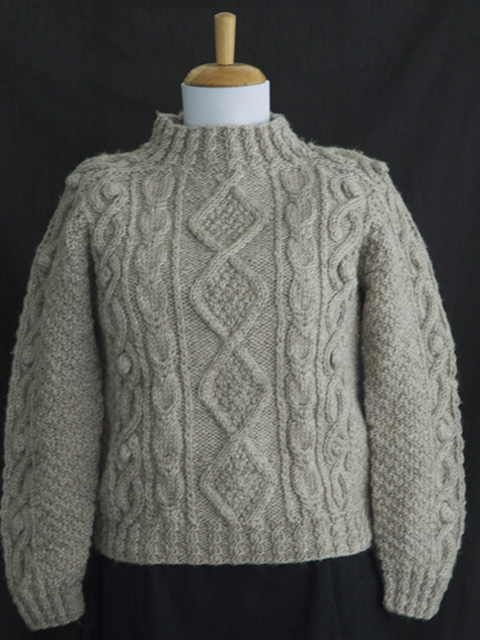 This Aran is knitted in the round up to the armholes, and knitted flat for the yoke. 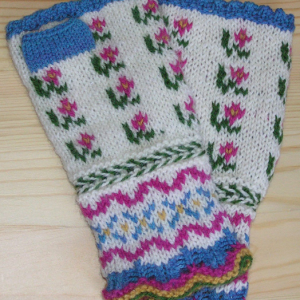 The sleeves are knitted up to the armhole, then saddle shoulders are worked with the perpendicular shoulder join. It’s a seamless, circular Aran! Gauge: 4 sts and 6 rounds/ inch in St st. 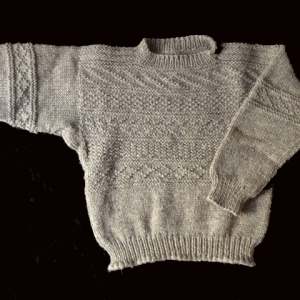 Featured Techniques: Knitting in Sleeves, the Perpendicular Shoulder Join. Please note that the download link will expire in a few days. 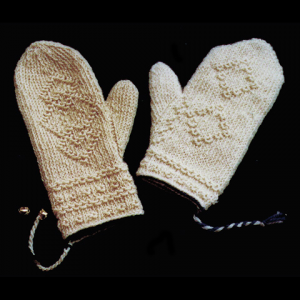 Yarn: Heavy worsted weight or Aran weight yarn: 800 (1000, 1300, 1500, 1700) yards. Needles: US Size 5 (3.75 mm) – 24″ circular ndl, 1 set dp ndls. US Size 8 (5.0 mm) – 16″ and 24″ or 36″ circular ndl, 1 set dp ndls. Notions: St holders and st markers, cable needle.